You are here: Home / Visio Content / Shapes / Visio for Fashion Design? The drawings were created using Adobe Illustrator. My guess is that Illustrator is the application of choice in this industry because Illustrator is used by artsy folks and designers, whereas Visio tends to be used more by office and knowledge workers. Adobe has finer control over vertexes and curves, has a larger array of artistic effects, more sophisticated output options, and probably more industry support as well. You’ll find more resources by Google-ing Adobe Illustrator Fashion Design than you will for Visio Fashion Design. And there’s even a book on topic: Fashion Designer’s Handbook for Adobe Illustrator. 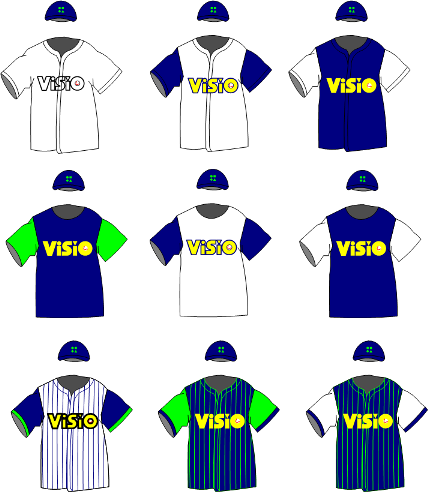 Anyway, at some point, I got the bright idea to design the uniforms using Visio. You can see the results here, or download the actual Visio file at the end of this post. But is Visio Any Good At This? My experience was that Visio did the job just fine. The drawings are not overly complex or full of graphic-arts effects. But I’m a Visio expert, and not a technical fashion design expert. I don’t fully understand what a designer needs to do to create these drawings. Are they highly accurate or conceptual? Are they drawn to scale? Are patterns generated from these drawings and sent straight to the factory machinery via an up-link? You get the idea. Visio has tools for creating lines, circles, rectangles and curves. You can edit the curves and vertexes, but not as accurately or easily as in Adobe Illustrator, which has much finer control over such things. You can easily rotate, flip and duplicate shapes, and it’s a snap to group them together for use as a single unit, work within the group, add shapes to the group, and ungroup the whole unit at a later point. Visio has “boolean operations” which allow you to slice shapes using lines, cut lines into pieces, union or combine shapes together to form new ones, or subtract areas from other areas. Visio drawings can be created to-scale, using the units of your choice. So you create a drawing in inches or centimeters, and your shirt can be 22 inches or 56 centimeters tall! You don’t have to do any math in your head. If you’re inclined to tinkering, you can add intelligence to your shapes via Visio’s ShapeSheet interface. By creating Smart Shapes, you can parameterize your shapes, intelligently control how geometry or formatting responds to user input. 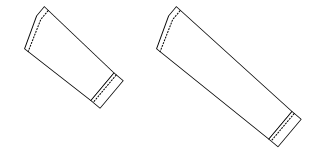 Imagine a sleeve shape where the cuff and stitching doesn’t stretch even when the sleeve does! 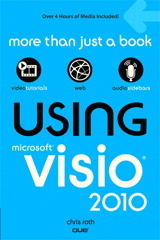 Visio has a built-in set of line and fill patterns and arrowheads. You can build your own customized ones as well, so you can get the stitching on that seam to look just right! And if custom patterns, the ShapeSheet and Smart Shapes aren’t enough, Visio has automation capabilities that allows you to programmatically control just about everything in the drawing environment. It even has a built in VBA (Visual Basic for Applications) editor, so you can start experimenting right away. Visio has the ability to snap and glue shapes to each other. I can envision a shirt shape where either short- or long sleeves shapes could be snapped into place at the shoulder-joint of a shirt shape. Visio has a stencil metaphor that allows you to design your own shapes, then drag them into a stencil window to be saved as a shape-library. You can then quickly re-use the shapes by dragging them off of the stencil into any drawing. You could easily build up a library of sleeves, pantaloons, seams, neck cut-outs, collars, pockets, etc. Theoretically, you’ll be able to design faster as your stencil grows. Visio is cheaper than Adobe Illustrator, and if you work in a Microsoft Windows /Office house, you might already have it on your machine. Visio also fits the Windows & Office user-paradigm better than Illustrator, which comes from the Mac world. Getting up-and-running with Visio is easier and faster than with Illustrator. But customization of Visio – Smart Shapes, ShapeSheet, custom patterns and automation – requires its own steep learning curve. 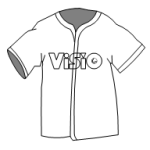 If you already have Visio, then it’s worth giving technical fashion design a shot. The simple example above didn’t require any of the custom development that we talked about. But that upside is always there for those who are a bit more technical, or have some techies around to help. If you’re involved in a big, serious, expensive decision process, then use this article as one data point along your research path. But definitely go talk to the Illustrator folks too! Basically I’m a management consultant and use Visio for process maps and system design etc. I use templates, backgrounds and stencils. Although not any of the technical functionality which you mentioned. I have recently started a course on Starting your own Fashion (very aspirational). The course is full of people who have completed 4 year BAs in Fashion Design. Basically all the fancy fashion is illustration is just that for illustration purposes and fashion magazines – garments are made from technical flat drawing that are effectively technical specifications. In many cases you’re handing them over to foreign factories to interpret your design similarly how you send functional, technical and configuration specifications offshore for system build. There are standard ways of representing certain rendering, stitching, whether it’s cut on the bias etc. As you correctly assumed Adobe Illustrator is the software of choice. Anyway my course colleagues told me that they never use this programme (including in some cases in industry!) because it can take up to 2-3 hours to complete a drawing and they need to complete 10-20 a day. They told me not to bother learning Adobe Illustrator and get a geometry set instead. This didn’t seem right to me. How could an industry be still using pen and paper? I’m very excited about what you’ve suggested as Visio is the tool I would like to use. However stencil shapes will be imperative to use Visio successfully for technical fashion drawings. Many thanks for your help. I imagine I’ll be in touch! Chris, I am interested in communicating with Gina in regards to using Visio for fashion design. Can you possibly forward me on to her? I am a pattern maker and do make my patterns on the flat on tag board. However, I am wanting to get in to the tech world and since I happen to have access to Visio, thought that would be the most economical way to go. Why spend hundreds to thousands of dollars when I have something that should work for me right here at my finger tips. I am new to visio, so this will be an interesting venture for me to say the least. I was a bit disappointed that there are no templates already available, but then also not surprised, as they can be time consuming. Maybe I can get back to you with some of the technical stuff once I get my first pattern on the screen. I’m a fashion student in Germany and randomly read this looking for some Illustrator images. Adobe is the program of choice because it allows to make oh so many things with your sketches, fashion drawings, etc. etc. The easiest way for me to use it, and also work fast, is to hand draw my sketches first, scan them and then draw on top of them in an illustrator file. The scanned pic is only your form or guide, the details, etc. are worked on Illustrator. It takes no time to learn how to use it and its vital for fashion illustration and technical drawing. It is good to know how the profis work! I know this thread is older, but I am hopeful someone will bite. I know Adobe is the ‘standard’. However it is cost prohibitive for a person interested in creating fashion mock ups and patterns on a small scale. I have always found Visio to be so robust. I am bummed that in my massive searches I have not uncovered any stencils or templates that relate to body shape/fashion (there seem to be a plethora of stencils for emoticon people and even one for crime scene with a tape outline person- not quite what I am going for). One user on my forum created an articulated person shape. I have always wanted to create a series of these for practical use, but never had the time. You can see the shape here: ALVIN Template. If you like what you see, you can contact the creator via personal message, once you’ve logged in. By the way: if anybody knows the insides of SMF forum software, I would *love* to know how to display images to guest, but hide downloads from those not logged in. Thanks! Hi. 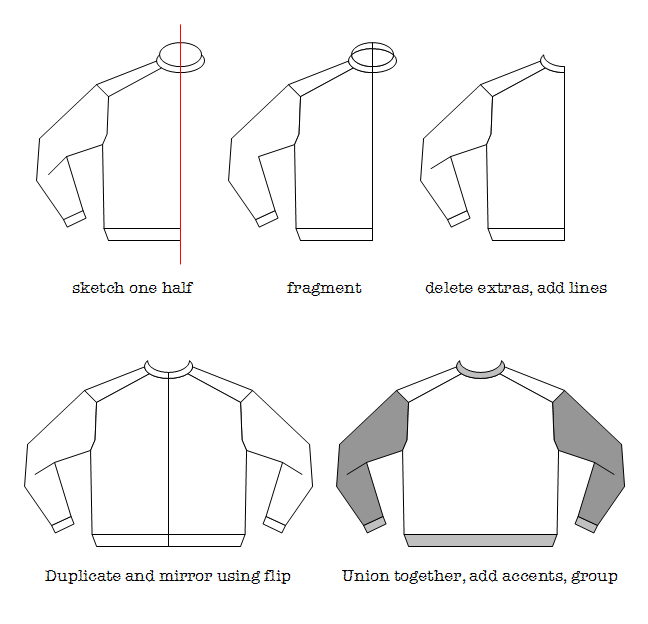 I am very interested in finding out more about fashion stencils for Visio! (Actually, its for OmniGraffle on the Mac, but shhhhh!) Thank you very much for your work Visio Guy. You A-ok in my book….